Well, I think I nailed it for the No Rules New Year One Stamp At A Time Blog Hop for January 2017! 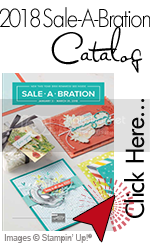 LOL… Yes, I’m using the Nailed It Stamp Set from the NEW 2017 Stampin’ Up! Occasions catalog. It is a fun stamp set great for creating masculine themed projects. The OSAT Blog Hop is the 2nd Thursday of each month starting at 6:30 AM EST, featuring a different theme each month featuring at least one card and a non-card project. This months theme is No Rules New Year! So, welcome to the January 2017 OSAT Blog Hop! I’m excited to be sharing some fun, masculine projects with you today. The first project features a masculine card for dad and the second project is a great 3D project. Both projects feature the Nailed It Stamp Set. I hope you enjoy both and are inspired. Oh, yes, this was a fun card to make. The “denim” pocket with the gold tag sets the tone for a fun card for dad while holding a few tools from the Nailed It Stamp Set. A hardwood background continues to set the masculine tone. My dad means the world to me and this past year was very rough as he was experiencing some major medical issues. It really reminded me that my dad isn’t that young anymore. (I still think of him as being young and spry, because I’m definitely NOT getting old!) He has always been there for me and continues to build me up even when I’m feeling down. When I injured myself this summer, he was so supportive and concerned. Thank you dad for building me up and being amazing… I LOVE you! Card base is Thick Whisper White with a card front layer of Dapper Denim and Whisper White stamped with the Hardwood Background Stamp using Tip Top Taupe. Stamp the tools on Whisper White from the Nailed It Bundle then die cut using the coordinating Build It Framelits Dies. I sponged the tools with Smoky Slate for a “silver” appearance. The Screwdriver handle is sponged with Tangerine Tango because my dad has a screwdriver with a handle that is the same color. I tried to make the handle of the hammer look like worn leather. The pocket is created using Dapper Denim cardstock die cut using the Stitched Shapes Square Die then a second die cut at an angle in half. I stamped “Dad” from the Thoughtful Banners Stamp Set on Crushed Curry cardstock then punched out using the Bow Builder Punch. I’m totally in love with this crate project! This project is inspired by Peggy Noe from prettypapercards.com. While thinking of what I wanted to create, I loved the idea of a masculine style crate using the Nailed It Bundle. I filled the crate with shredded Kraft Paper and a bag filled with Hershey Kisses then tied with Burlap Ribbon. This crate is HUGE! I can’t believe how many Hershey Chocolates it can hold and the crate is easy to make! Use the 12×12 Kraft Cardstock. Cut a 9″ x 3″ strip and score both ends at 2-1/2″ to create the base of the crate. Create crate sides by cutting four 1″ x 5″ strips of Kraft Cardstock. Score each strip at 1/2″ at both ends. Use your bone folder on all the score lines. Attach the strips by using Tear & Tape Adhesive on the 1/2″ side of each strip and attach to the inside of the crate base. It should look like the photo above. Using the Classic Label punch, punch each end of the crate base to create the handles. Stamp the tools from the Nailed It Stamp Set then die cut. The Large Hexagon in the background is die cut using Dapper Denim. Layer the tools over the Hexagon then stamp the sentiment and die cut using the die from the Build It Framelits Dies. To continue on with the next blog on the OSAT Blog Hop, you’ll want to visit Andrea Tracy-Tucker! I’m certain you’ll enjoy the projects she has to share with you! To view her blog, you can click on her name or on the NEXT Button. Pam Staples – You are HERE! Special projects for a special man! Thanks for including the instructions! On my list to make! Okay…this bundle has officially gone to the top of my list. This project is super…and the crate tutorial is just great. Oh…and I love the colors you’ve use…especially the blue! Pam, Love your card and I adore the cute little crate! I LOVE this card and the adorable crate! Great masculine projects. Good job! Ok, the crate is super cute, but THAT POCKET!!!! Brilliant! Really cute card. Yes, you nailed it! Absolutely marvelous!! Thanks for including the project details! I have got to get this set! Having just lost my dad, who was a carpenter, I’m sad I won’t be able to give him a Father’s Day card this year made with this set…I totally planned on it! I am in total crush land over that tiny wood crate! Love both, but that crate!!!! How adorable! I will be CASEing this! I love the blue pocket you created on your card!